This year, the International Day for Disaster Reduction is being observed on 12 October with the theme Women and Girls – the [in]Visible Force of Resilience. More information is available at http://www.unisdr.org/2012/iddr/. Knowledge Forum with regional and international experts on Gender and Disaster be held at ICIMOD Headquarters (date will be announced soon). Presentation by Mandira Shrestha on "Information Systems for Flood Risk Management in the Hindu Kush Himalayan Region - A Gender Perspective" at the IDDR National Symposium being organized by DPNet-Nepal and Ministry of Home Affairs at Hotel Yak and Yeti, Nepal. Water and Hazards Program: ICIMOD works to monitor and assess ice and water resources, promote community resilience and preparedness for disaster risk reduction, ensure the sharing of upstream-downstream benefits, and provide information and tools for better risk management. Disaster Risk Reduction and Community Resilience: This initiative builds upon ICIMOD’s past experience in the technical and physical aspects of DRR and takes a more proactive and integrated approach to address DRR within the international guidelines established in the Hyogo Framework of Action. Management of Flash Floods – Capacity Building and Awareness Raising in the Hindu Kush-Himalayas: This project focuses on baseline assessment of flash flood risk management in the region and strengthening the capacity of key stakeholders in the region to manage flash flood risk. 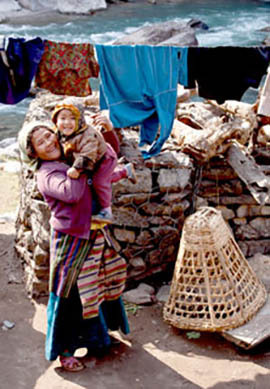 Himalayan Climate Change Adaptation Programme (HICAP): HICAP is a pioneering collaboration among three organizations – CICERO, ICIMOD, and UNEP GRID-Arendal – aimed at contributing to enhanced resilience of mountain communities, particularly women, through improved understanding of vulnerabilities, opportunities, and potentials for adaptation. Monitoring and Assessment of Ice and Water Resources: ICIMOD believes that monitoring and assessment of ice and water resources is essential for reducing the scientific uncertainty that exists and develop measures for adaptation and mitigation; solid evidence is also needed to increase the awareness and engagement of the public, governments, and the private sector. Strengthening Upstream-Downstream Linkages: The aim of this initative is to support and apply integrated water resource management (IWRM) approaches and water governance strategies and to foster co-operation and knowledge sharing related to both the benefits and risks associated with water at different levels and scales. Mountain Environment and Natural Resources Information System: ICIMOD through its MENRIS Division has established itself as an internationally recognised, regional resource centre providing integrated and innovative solutions that integrate geo-information and remote sensing data to support informed decision-making for sustainable mountain development and disaster risk reduction in the Hindu Kush-Himalayan region.